One of the worst places for your gadgets to fall onto is not the concrete hard floor that may crack or at least cause a large dent on your gadget, it’s a pool of water. Under usual circumstance, submerge your tablet or your phone into water and you can pretty much bid it goodbye, but not those from Fujitsu. At the current CES, Fujitsu showed off how its tablet and phone can survive a drop into a pool of water and even stay submerged. According to the representatives from the booth, it will be able to stay submerged for up to 30 minutes and still be useable; I wonder if we can take it for a diving trip perhaps. 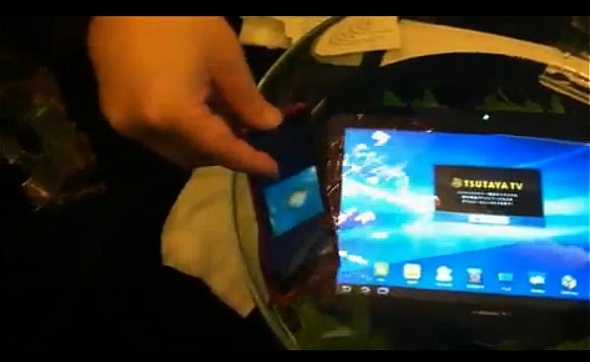 Watch the demo from Mashable and see how the representatives sink its 10.1” tablet and a phone into a tank of water. For your information, they survived the dip in the water of course and were functional when removed. Unfortunately though, the company did not reveal how things were done; they only mentioned that ports are covered. But of course, the company has been making waterproof phones for a couple of years now they’re bringing the technology to tablet devices. The tablet is now available in Japan however, they won’t be bringing the waterproof technology into the US until it’s proven in Japan, so I guess we’ll just have to wait really, really long if it ever comes to Malaysia.